"Doing more with less" is an axiom of this age of frugality. Budgets are being cut and programs slashed even at the all-mighty Pentagon. Yet this is perhaps the greatest window of opportunity America has had in two decades to shift away from its astoundingly costly and questionably effective military-industrial complex towards an approach more suited to a multidimensional, globalized world: a diplomatic-industrial complex. Fifty years ago in his 1961 farewell address, President Eisenhower claimed that the toil, resources and livelihood -- the "very structure of our society" -- was involved in defending America during the Cold War. The resulting "military-industrial complex" was comprised of an "iron triangle" among government, the military, and national industry that has since become the main driver of American grand strategy and costing taxpayers close to $500 billion per year. More recently, 9/11 spawned an intelligence-industrial complex, with the intelligence community's budget ballooning to over $40 billion and the creation of the Department of Homeland Security's (DHS), whose FY2011 budget is $56 billion. Add it together and you have over a decade of "contractors gone wild" and questionable gains in national security. What is needed today -- more than defense and espionage -- is a diplomatic-industrial complex. Diplomacy is the force multiplier which strategically melds a country's resources, population, institutions, and ideology. What Eisenhower said about the "very structure of society" being involved in national defense applies far more to diplomacy. America's companies, products, universities, and philanthropists are active in every corner of the world. 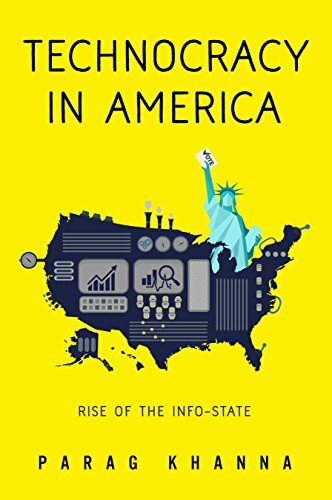 When we think of American foreign policy, we should think not only of what the government does, but what Americans do, whether through dot.gov, dot.com, dot.org, or dot.edu entities. America's footprint around the globe is far greater than that of the State Department. America has always had multiple voices clamoring for attention and influence in foreign policy, from ethnic diasporas to oil companies. At America's founding, the young nation barely had a foreign policy beyond its commercial presence in Europe. Even into the early 20th century, private sector leadership drove the Open Door strategy of trade expansion. American diplomacy was so sparse in the late 19th and early 20th centuries that National City Bank and Standard Oil both operated and deployed their own diplomatic corps extensively throughout Latin America and Asia. Worried by the dearth of American ambassadors in these regions, they helped finance the founding of Georgetown's School of Foreign Service, effectively America's first diplomatic academy. After World War I, business' fear of isolationism led to corporate lobbying for the League of Nations and the founding of the Council on Foreign Relations, and business made a big push to support the post-World War II Marshall Plan (which had only 15 percent public support). Today, such a common public-private vision is needed again by which America's non-state actors are considered structurally in every issue, and included in a flexible fashion into policy formulation and implementation. In an age of diminished resources, the task for foreign policy makers is to develop an apparatus which harnesses America's vast governmental and non-governmental resources to make America's global footprint greater than the sum of its parts. It's America's talented private sector that needs to be the tip of our diplomatic spear, building B2B and P2P alliances with American companies and citizens in the lead. Two great examples of this are Saudi Arabia and India. The big story with Saudi Arabia isn't the recent $60 billion arms deal, but the $10 billion Alcoa investment in a new aluminum smelter; only the latter hires and trains locals, building reservoirs of goodwill. And despite Obama's high-profile India visit, Hu Jintao came right on his heels to patch things up, while India will also continue buying nuclear reactor technology from France and weapons from Russia and sell petroleum to Iran. The key difference, however, is that America's software and clean-tech companies are in India, Russia's aren't. One-third of America's software imports now come from India. No country wants America's preaching anymore; they'd rather have America's CEOs visit than Hillary Clinton. As the State Department mulls how to implement its Quadrennial Diplomacy and Development Review (QDDR), it should remember that the world still benefits greatly from America's technocrats, not its bureaucrats. According to a 2007 Pew survey, even amidst widespread opposition to U.S. foreign policy, in 48 countries America's image and respectability remained very high in the arenas of science, technology, and culture. Of the top 100 brands in the world, 52 are still American, with the top four being Coca-Cola, IBM, Microsoft, and GE (Source: BusinessWeek). The State Department is starting to catch this wave, organizing delegations of technology investors and entrepreneurs to go to the Middle East and set-up programming and training centers for Arab youth. This costs very little, but delivers much bang for the buck. Education might be the most successful arena of the diplomatic-industrial complex, demonstrating American far-sightedness and generosity for over a century. China's prestigious Tsinghua University was founded with money America gave back to China from indemnity payments it was forced to make after the Boxer Rebellion. Today higher education is America's best export; Harvard's dean of admissions is treated like a rock-star on recruitment trips to China. Far beyond the original crop of government supported American schools such as in Beirut and Cairo, private American universities have set up campuses around the world and particularly in the Persian Gulf countries. Doha's Education City in Qatar is packed with branches of Georgetown, Cornell, and Texas A&M, collectively having a demonstrable impact on women's rights and professionalism in the region. An American nursing school in Pakistan provides education and jobs to women who would otherwise have neither. Remember that spreading English is as important as spreading democracy or the dollar; even as foreign currencies and governance models compete with America, English remains the world's reserve language. The diplomacy of development is also dominated by companies and NGOs. The American government is hardly magnanimous to poor countries in per capita terms, but American citizens are by far the most generous in the world. Most of the $192 billion that flowed from the U.S. to developing countries in 2007 came from corporations and foundations, as well as remittances. The Gates Foundation, of course, is now the world's largest by far, out-spending entire governments in its investments in public health programs and disease eradication across the globe. It is fashionable these days to argue that America needs to focus on repairing itself internally, rebuilding its infrastructure and focusing on competitiveness. This is certainly true, but there is a virtuous circle to making sure all sectors of American society continue to engage internationally. When multinationals expand and grow abroad, the clear evidence is that they actually create more jobs at home as well. American financial institutions manage one-third of the world's investable assets. As they invest in and help build businesses overseas, they also generate returns for Americans across the spectrum. This is how globalization is good for America, especially when more American companies participate in it. Senator Daniel Patrick Moynihan used to say that "you cannot have a great country without a great government," but America's government is bulging and creaking. Only a new process can remind the rest of the world that America is still a leading innovator in global affairs, and set a model for others to follow. Towards the end of "Harold and Kumar Escape from Guantanamo," the fictitious George W. Bush waxes philosophically while smoking a joint, "You don't have to trust your government to be a good American; you just have to trust in your country." The diplomatic-industrial complex is the new diplomacy Americans can believe in -- because they all participate in it. 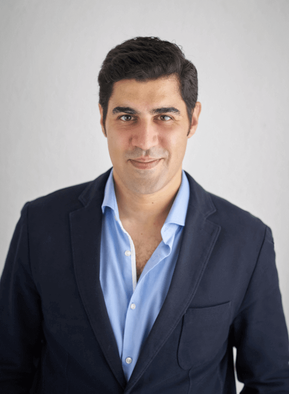 Parag Khanna is a senior research fellow at the New America Foundation and author of the newly released How to Run the World: Charting a Course to the Next Renaissance, published by Random House.